Egami (translated) spotted some interesting patents filed by Canon. 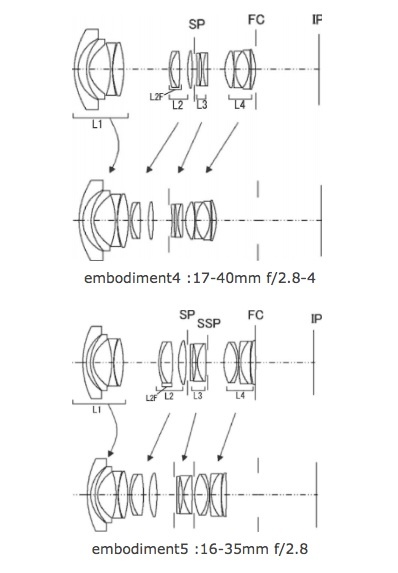 The patent refers to new 17-40mm and 16-35mm lenses, as you can see with apertures between f/2.8 and f/4. 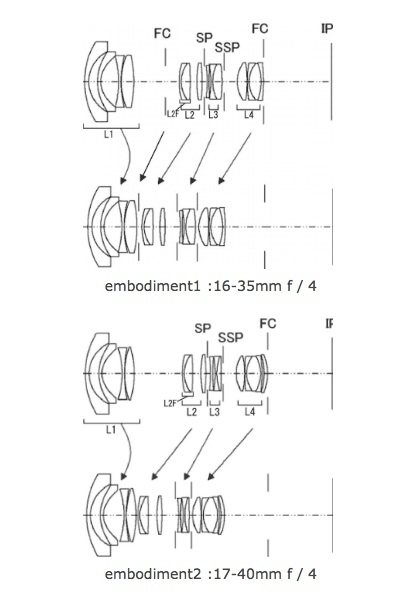 Are these patents for the replacements of the EF 16-35mm f/2.8L II USM and the highly popular Canon EF 17-40mm f/4L USM lenses? 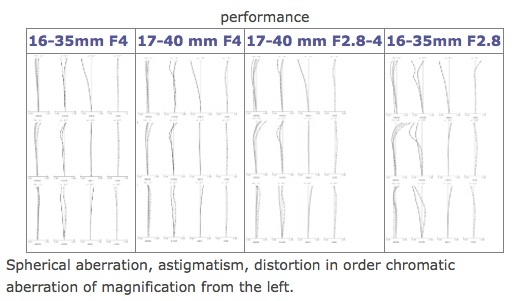 These two lenses were measured by DxOMark a few weeks ago. 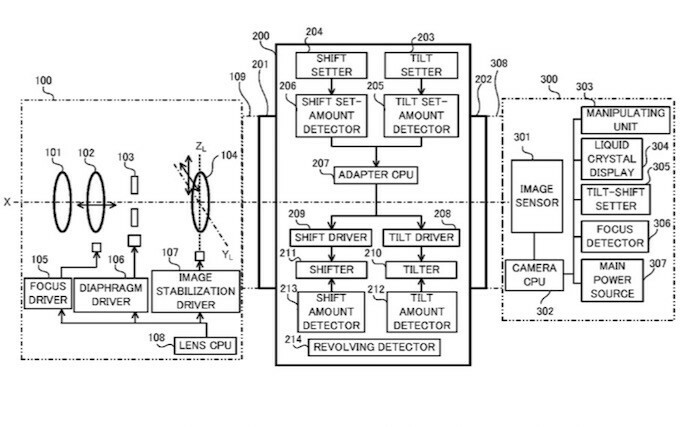 Canon patent for Electronic Tilt-Shift Adapter for EOS M system?